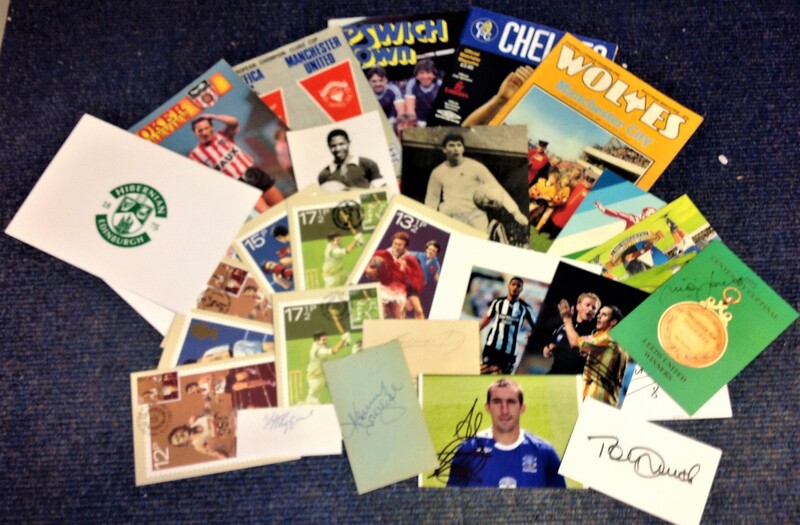 Football collection approx 30 signature pieces including signed programmes, PHQ cards and signature pieces includes names such as Kenny Dalglish, Tommy Smith, Paul Mariner, Eric Gates, John Wark and Mick Jones. Good Condition. All signed pieces come with a Certificate of Authenticity. We combine postage on multiple winning lots and can ship worldwide. UK postage from £3.99, EU from £5.99, Rest of World from £7.99.